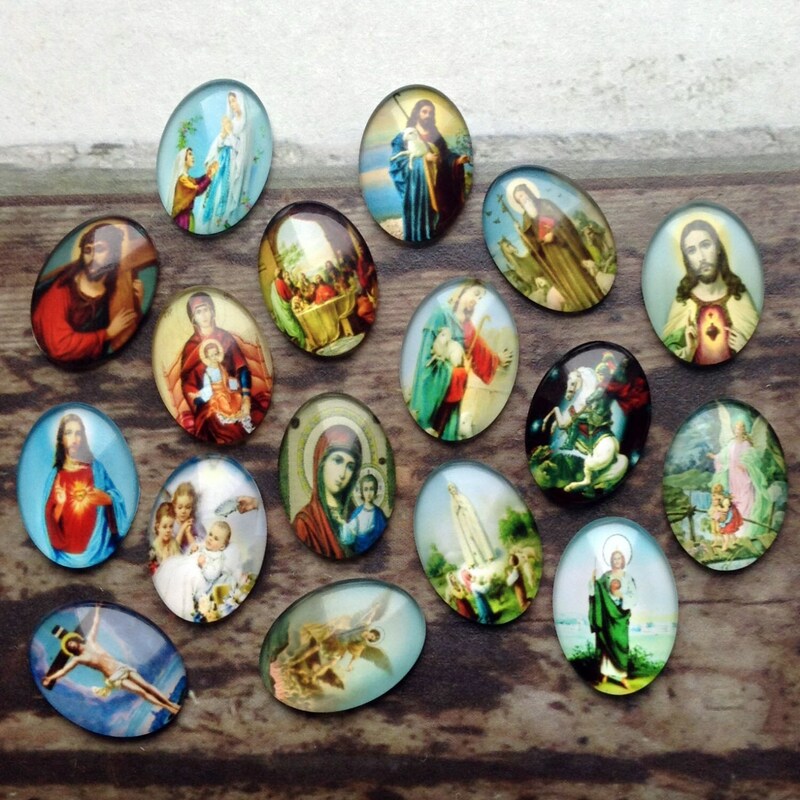 36 glass religious cabochons. 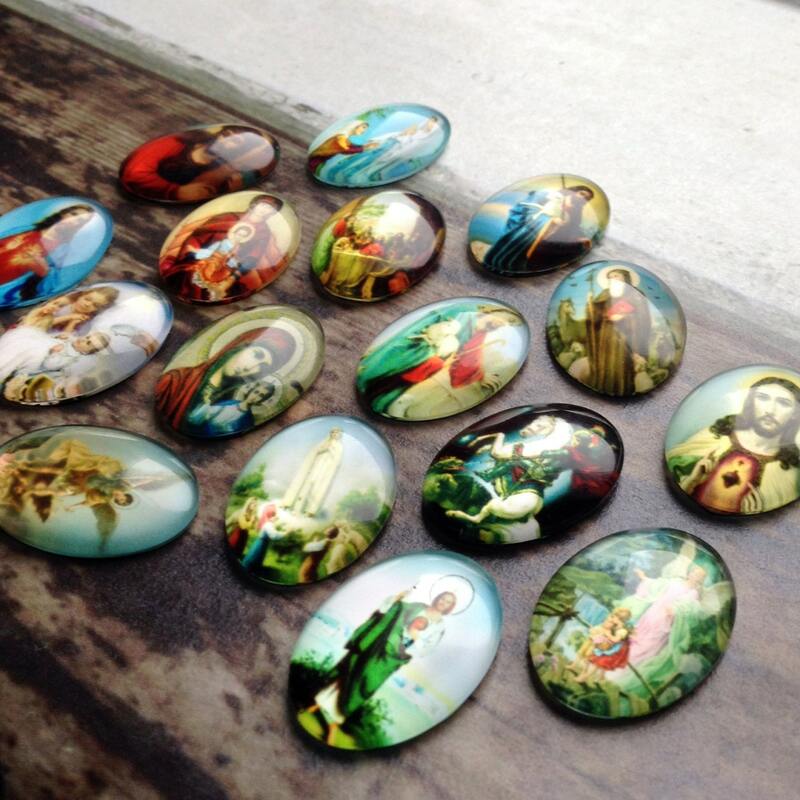 Each hand-made domed glass cab has a Jesus, Mary or religious image underneath. 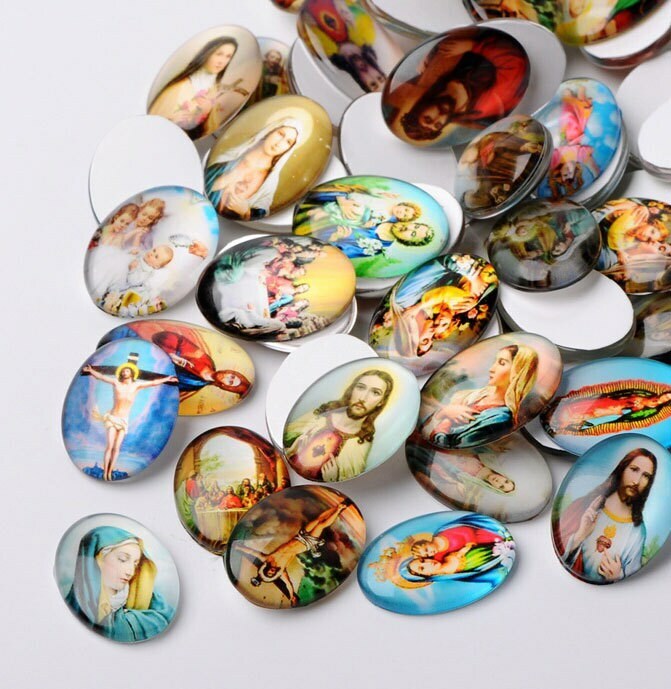 Perfect for using in a setting to make religious (kitsch or serious) themed jewelry, or something for an Easter project. 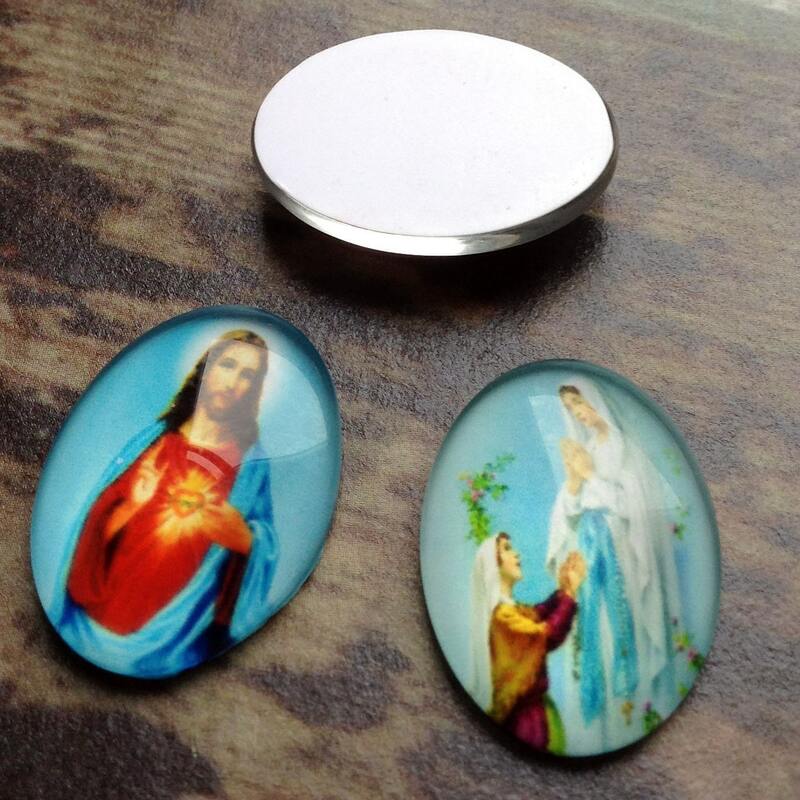 They have a thick paper backing means they can be glued into a setting to make a charm or pendant.